I will just include a few images of things that are unique to this design, as well as a PDF file of the pattern for the decorations on the front. My journal was about 5 x 8 inches, so you may have to re-size it if yours is not that size. First, gather your materials. I used three cream fabrics (one for the lining) plus a tan and a blue. I found a great matching journal at Barnes and Noble, but I decided I could still do better. But even the plain journal and the book make a great gift, I gave away several sets at Christmas! 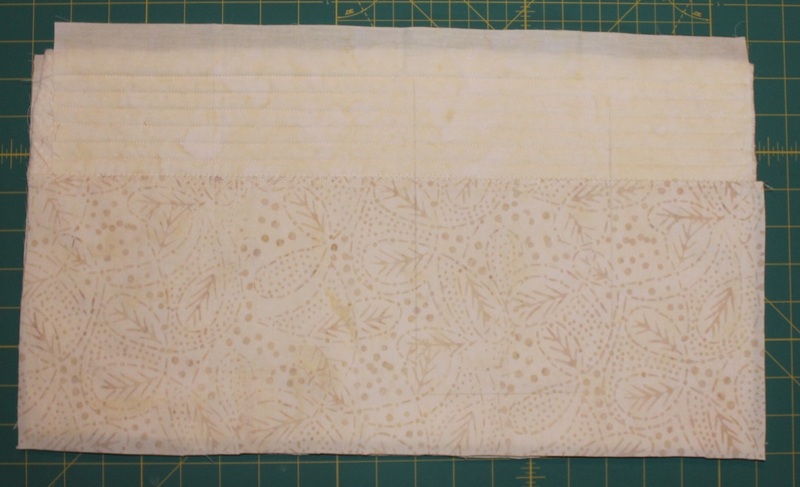 Next, click here to see the instructions for my other journal covers to make your pattern, and get your background, batting, and muslin the right size. For an 8 x 5 inch book, it is approximately 9 x 16 before trimming down to the exact size. it first if you'd like. 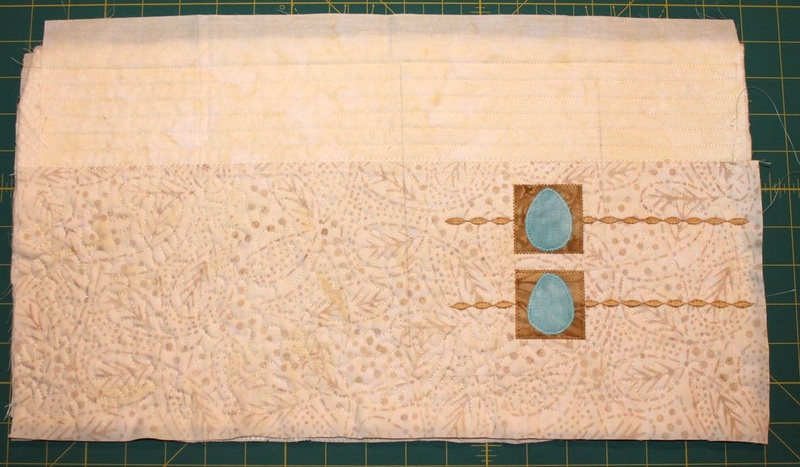 As you can see, the edges can be very messy, until you trim it down to size after decorating and quilting. It's a very forgiving process! The second photo shows the placement of the decorations. I drew lines for the decorative stitching with the squares just laying in place but not attached. Now just click here to go back to the main instructions for how to trim it to size and finish it.